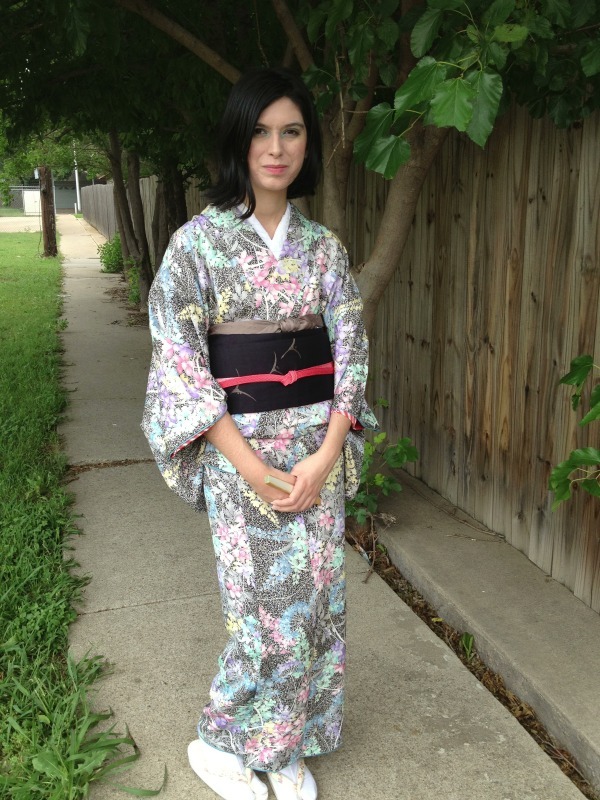 In May I went to my very first Fort Worth Japanese Society luncheon. 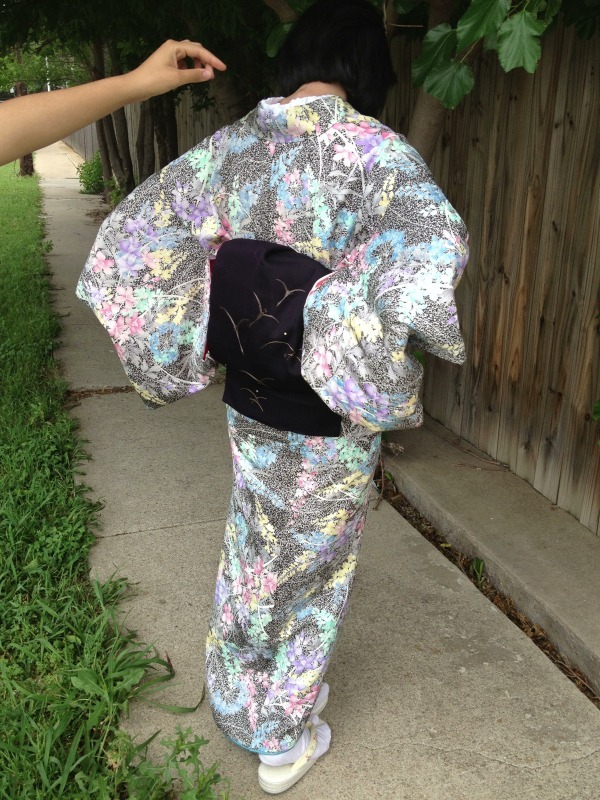 I chose this komon as it looks very 'spring' with a speckled black and white background and multicolored pastel flowers. 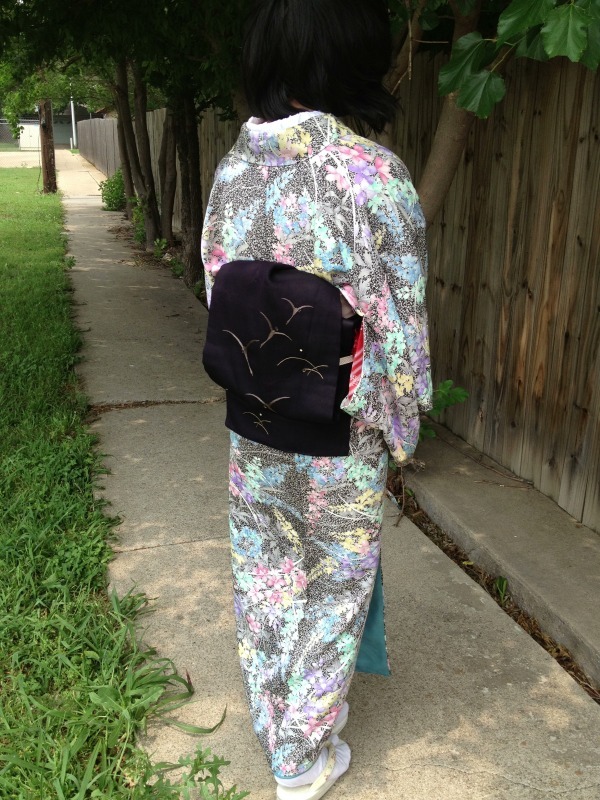 My nagoya obi is a very dark navy blue sha with embroidered birds and dew on grass motif. My otaiko came out less than perfect but since this was only my second time tying one, I think it came out pretty good! 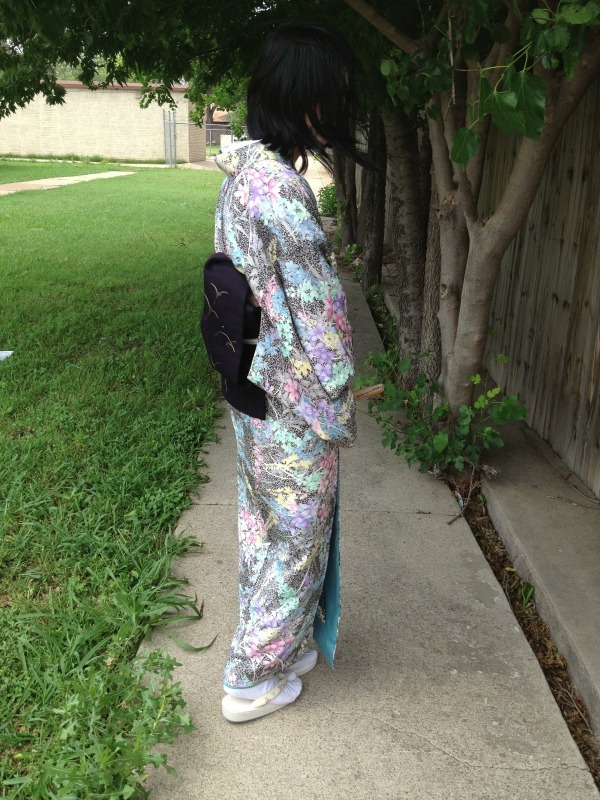 I had worn a grey rinzu obiage, but I think next time I'd wear a peach colored one instead, as I think the grey kinda washed out the colorful flowers. I'm also considering buying an erishin since the nibushiki nagajuban seems to have a very weak collar. I think this picture ended up so cute! That's my friend Naomi's arm and I was adjusting...something...possibly my ohashori.